WINNER – congratulations to Tanya Christian – this weeks lucky winner! It is Wednesday and we love giving stuff away EVERY SINGLE WEDNESDAY!!!!! This week we are giving away some of the latest products released at CHA from the WONDERFUL people over at Core’dinations ColorCore Cardstock!!!!!!! All of these- SO FUN TO WORK WITH – Inkjet Printable Glitter paper!!!!! YAHOOOOOOOOOOOOOOOOOOOO Someone is going to win – why not you eh??? SO FUN TO WORK WITH!!!! 1. Visit Core’dinations ColorCore Cardstock on facebook – CLICK HERE – Say hello from Creative Scrapbooker Magazine! 2. Leave a comment right here under this blog post. You have until Friday Feb 19th at midnight to enter! Glitter paper! What a wonderful giveaway! I love all the glitter paper! Awesome! Glitter, and more glitter how simply glittery. Wow!! This would make my day sparkle!! Thanks for the chance. Left thems ome love! Oh LA LA glitter paper! What a great addition to my supplies this would be. How fun is glitter paper?! Thanks for the chance to win. Love Core’Dinations. Wow! Can’t get enough glitter! Count me in. A little glitter never hurt anyone! LOVE my glitter!!! Thank you for the chance to win! Love WNWW! Oh how I love glitter, and Core’dinations, and Creative Scrapbooker magazine…oh and of course…Why Not Win Wednesdays!!!!!!! Glitter paper you can print on? Makes following my “it ain’t done till it’s sparkly” motto much easier I think. I love Core’dinations’ cardstock! So, glitter paper with no glitter mess? Awesome! Thank you for the giveaway! I love anything that glitters! Ohhhhhhhhhhh….Glitter……….would love to win this! Looks like a great addition to my papers! Would love to work with it. I left a big HELLO from you, and am thrilled about this giveaway!! What a fantastic idea! Who doesn’t love glitter?! I can’t wait to get my hands on this amazing paper. I share my supplies with my 13 year old daughter & I know this will be her favorite paper! Thanks for such a great giveaway. Our fingers & toes are surely crossed!! Gotta love Glitter. The more sparkle, the better. W H A T ??!!! Glitter printable paper? Thank you Core’dinations! Glitter glamour yes please! Core’dinations and Giltter, what a combo. Sounds like fun to use. You can never have enough glitter in your life, that’s what I say! I love the other papers that they make so I’m sure this glitter paper would be wonderful too. Thanks for the chance to win. Oh, my nieces would love to work with this paper at our next get together. Awesome prize package! Thanks for the opportunity to win! Love the glitter paper ? I would love to win this prize and to be able to try out the glitter inkjet paper. Wow, printable glitter paper. Oh, how I would love win and try them. What an awesome giveaway!!! Glitter = awesome. Thanks for an opportunity to win a great prize. Glitter paper, what a awesome idea! One can never have enough sparkle!!! Would love to win. Thank you for the chance. I look forward to sparkling up my family and friends. Wow! What a neat, cool idea! Can’t wait to use some of this cool paper. Hopefully I’m lucky to win! Looks like pretty cool paper. Would love to win. I am always ready to see how our HP printer will handle my crafting needs. It sure doesn’t work for colouring any of my crafting printouts. I have other avenues for my colourings!!! Such a quick and easy way to add glitter to a page – no mess, no fuss! Thanks for the chance to win…. Core’dinations has such lovely paper. It would be a treat to win. 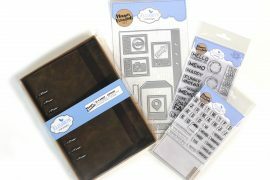 I’m really excited about the chance to win this scrapbook paper. I’m a newbie and would love the chance to try it out! It’s my birthday soon (22.02)… Will I get lucky 😉 ? Hi, I have liked and shared your page on FB. I am from South Africa and just wished I stayed in Canada to be able to have more access to your products. Hope I will be your winner from another country!!! Thanks for the chance to win :). Love working with Core’dinations products! This looks like a really fun product. Thanks for the chance to win. What a great prize!! Thank you for the chance to win it. so I could see all of the new collections. This looks like a fun product. Thanks for a chance to win. Great giveaway love the glitter. Wow! Glitter! Thanks for the chance to win! Awesome prize, as usual!! Thx for the chance to win! ? New to scrapbooking and card making, looking forward to the adventures and making new friends. Would love to add to my “needs” collection. Thanks. This is amazing! I love the project ideas and can’t wait to try this out. Wonderful, love all the Coredinations colorcore cardstock. Thanks for sharing, I shared with FB. Pick me lol…card stock is awesome, cool idea. Will definitely have fun creating with these! Wow!Love Love Love that new paper! Thanks for the AMAZING opportunity! This looks amazing and so versatile. Thanks for the chance to win. I wish we had a local store to purchase this from, sadly they have all closed. Thanks for keeping us informed of these terrific giveaways!!!!!!! I enjoy every one of them whether or not I win – I learn from each website! Love the new paper. I always look forward to new things. Keeps life interesting. Hope I win but good luck to all. This looks so amazing. Would love to try it out. Thank you. This looks too amazing to be true….new products that will not only make your work look good but fantastic too…Again thanks so much for giving us all a chance to be the one standing out with the sparkles.. Awesome prize giveaway. Thank you! Such a cool paper! Would love to try it out! Oh I adore Core’dinations! Who doesn’t? Thanks so much for sponsoring this awesome prize…..